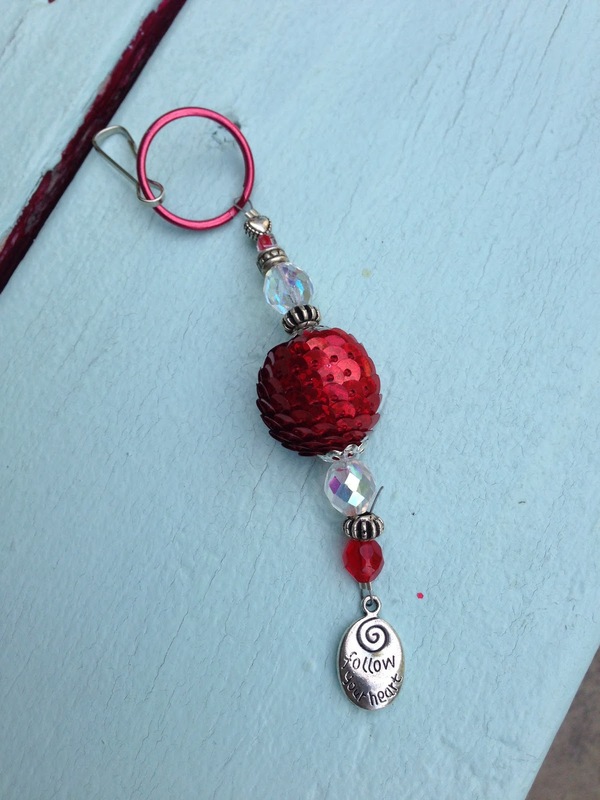 Today's Girl's Camp Handout are these cute beaded "Ruby Slippers" inspired keychains. I bought these red sequins ball beads in the fabric district in LA. I wasn't sure what to do with them. So, I got out all my beads and we made these! I had some little helpers too! We made 15 of these - each one is different! 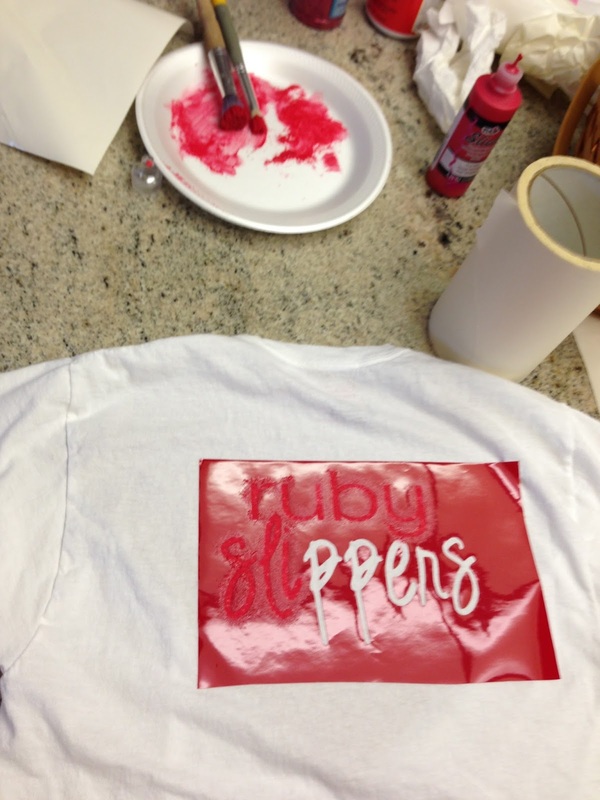 We made these "Ruby Slipper" T-shirts for the girls to wear at camp. 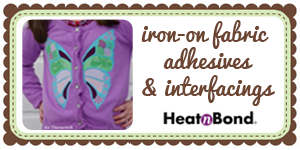 I used Heat n Bond to appliqué the slipper on the shirt and added a little tule for a bow. 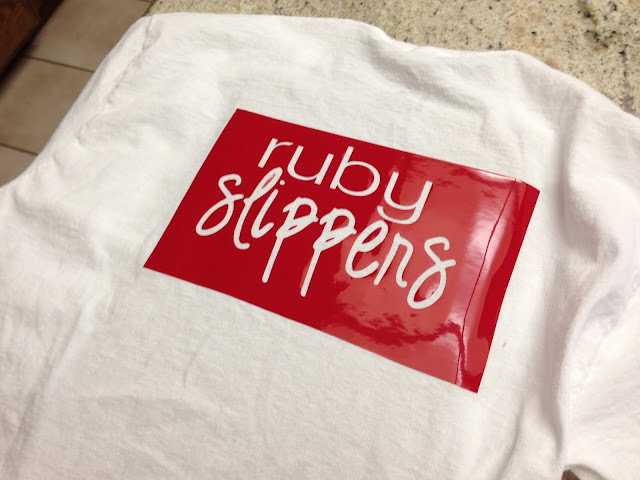 On the back of the shirt I cut a stencil out of vinyl that says Ruby Slippers. We painted them using red craft paint. 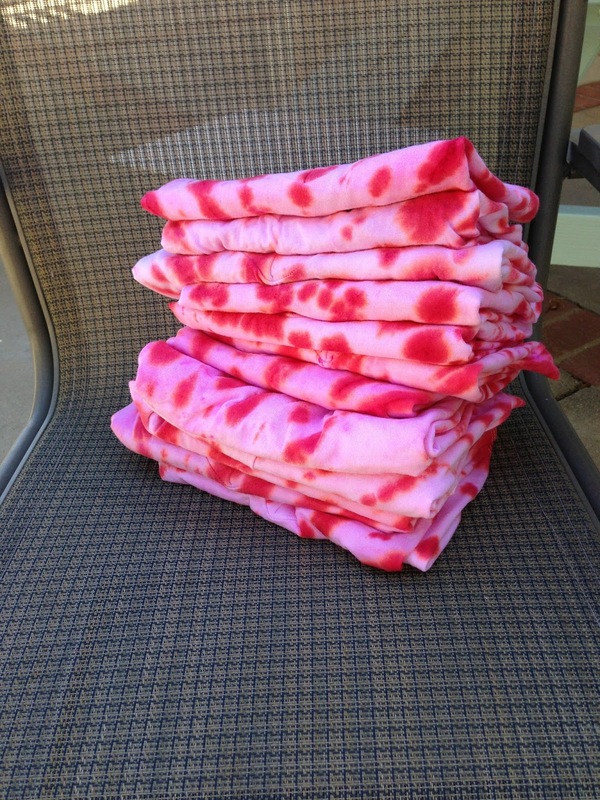 I also made the girls a red tie-dye shirt. 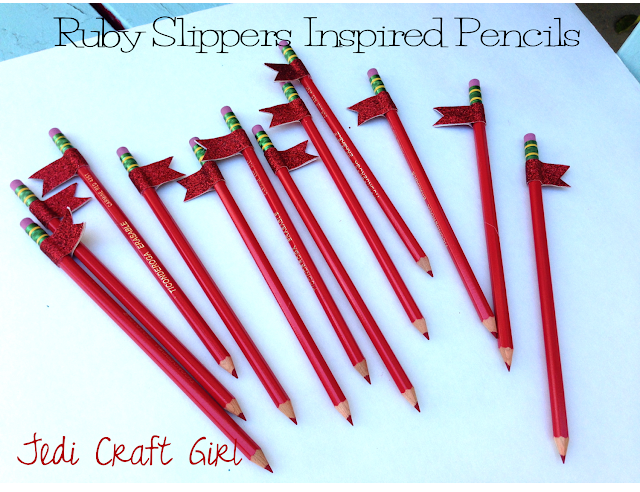 Since our theme for Girl's Camp is Ruby Slippers, I wanted to give the girls a new red scripture marking pencil. 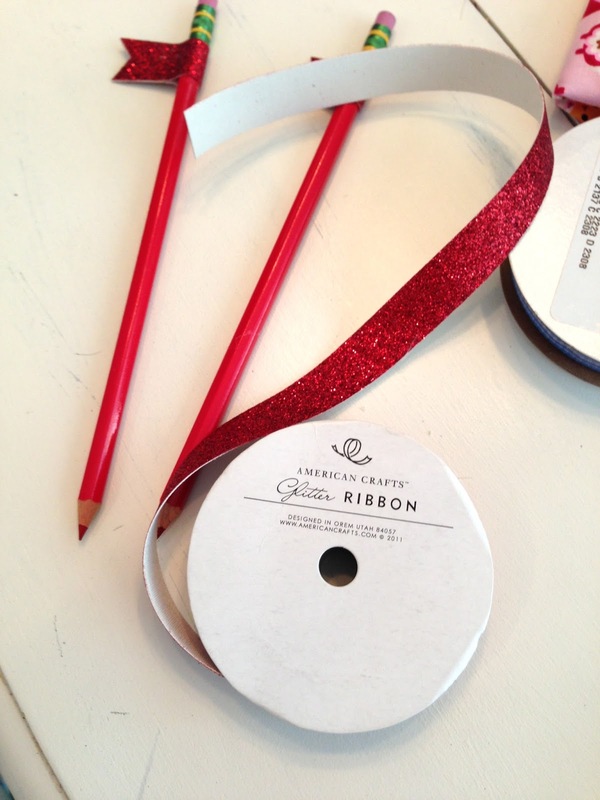 The pencils needed a little pizazz :) I found this red glitter twill tape at JoAnn's. (I wanted to use Washi tape, but it didn't look good on the red pencil. You could also use any kind of ribbon.) I hot glued it to the pencil then trimmed it to look like a little flag. 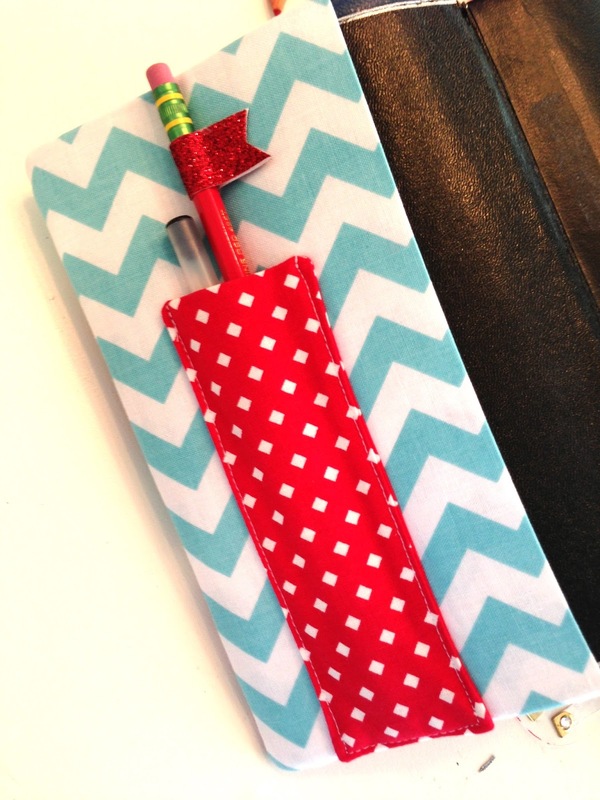 This would be a cute idea for decorating pencils for a party favor or a back to school gift for a teacher. 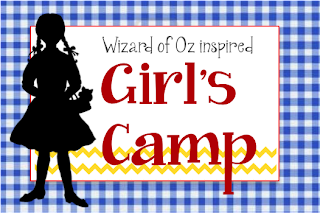 I am attending our church's Girl's Camp this week. 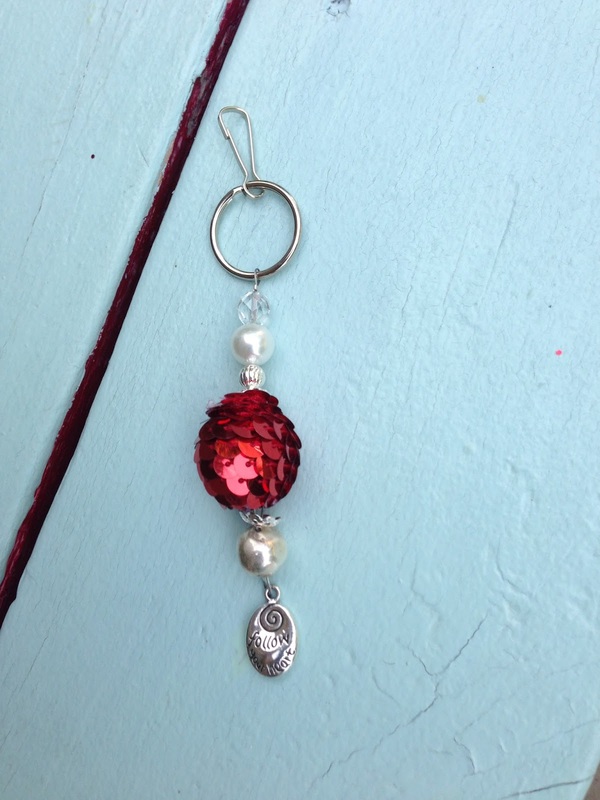 Every day I will post the craft or handout I am giving the girls. The theme for the entire camp is Stand Out. Each year or level choose a type of shoe to represent their group. We are the Ruby Slippers! We are doing an 8 mile hike today. 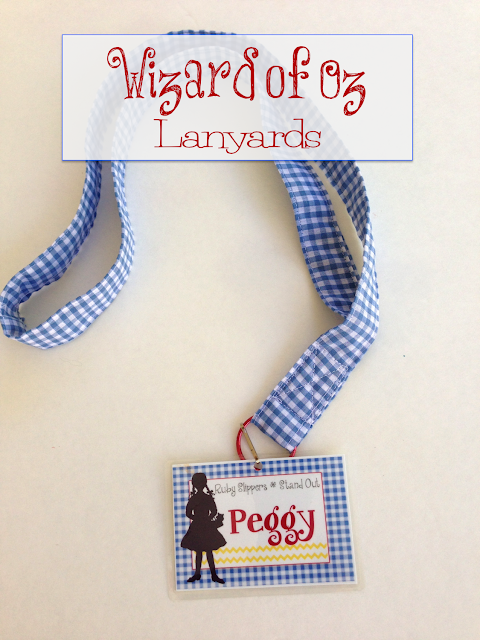 I sewed all the girls lanyards (tutorial) out of blue gingham. As we go through the hike (following the yellow brick road), there will be stops along the way and they will receive pins to put on their lanyard. The first person Dorothy met on her journey was the Scarecrow. The scarecrow wanted a brain, so we are talking about knowledge. I am basing our discussion off this talk by Anne Dibb, I know it, I live it, I love it. After our discussion, each girl will get an owl pin - representing knowledge. I made these little fabric/felt heart pins to go on the lanyards. The third person Dorothy meets is the lion who needs courage. We are using the talk, May You Have Courage by Thomas S. Monson. "My earnest prayer is that you will have the courage required to refrain from judging others, the courage to be chaste and virtuous, and the courage to stand firm for truth and righteousness." I made these little badges of courage to pin on the lanyards. While Dorothy is on her journey with her 3 new friends, they come across the "Field of Poppies" which poison can cause fatal sleep. These flowers represent the distractions of the world that will keep us from reaching our destination. 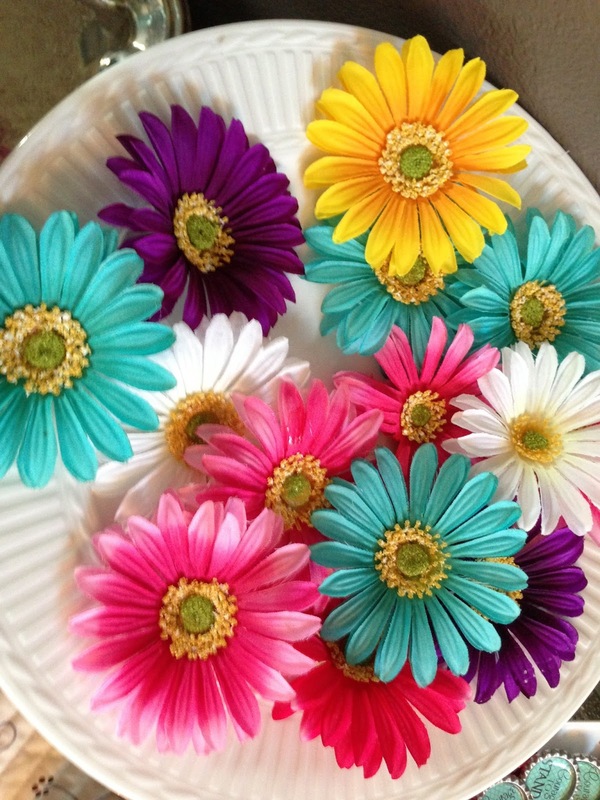 I glued a pin to the back of these brightly colored flowers. 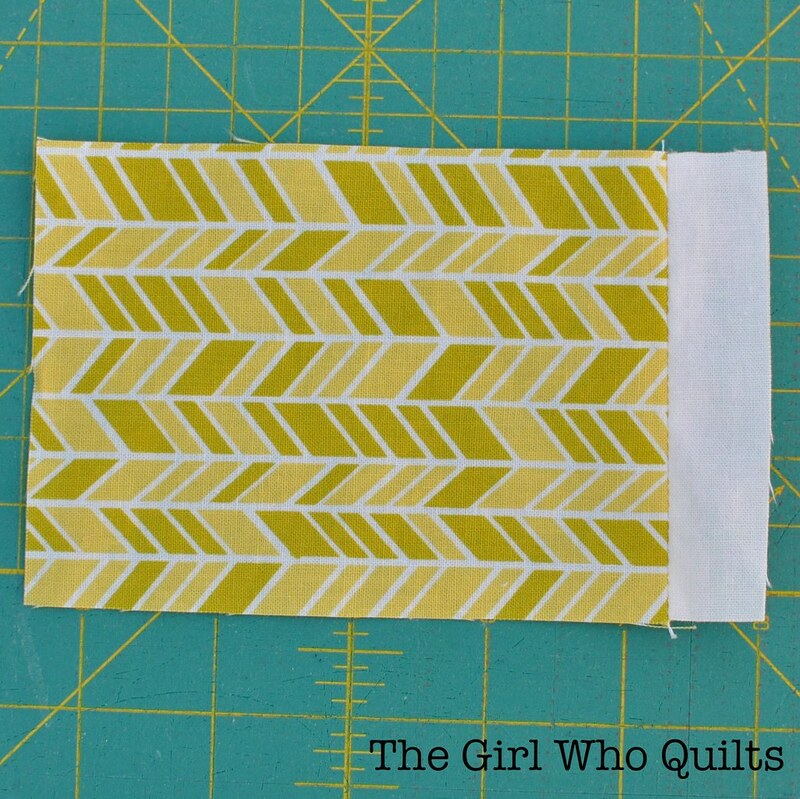 This has been such a fun week of quilt tutorials! I made this quilt with lots and lots of love. It's for a friend who is battling cancer. Sometimes only a hand-made quilt can express how you truly feel about a person. 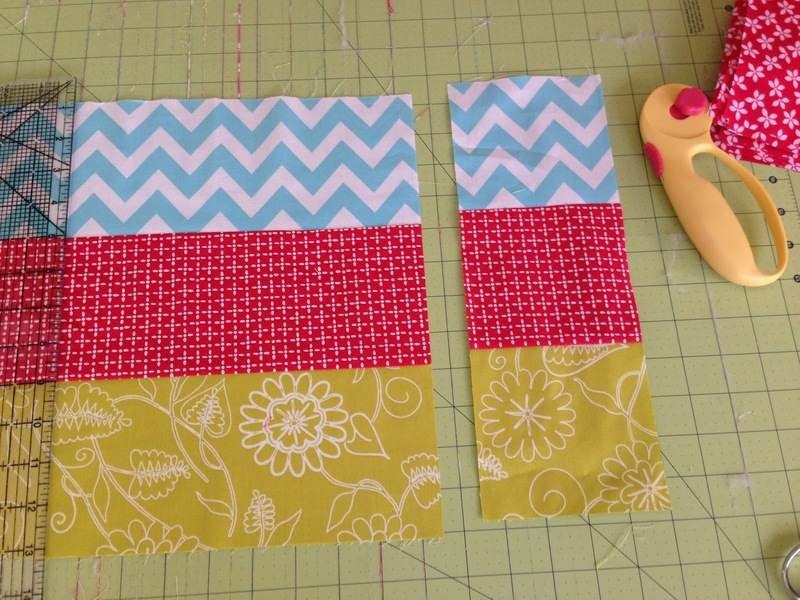 I love this pattern because it showcases larger print fabrics which I am always drawn to! 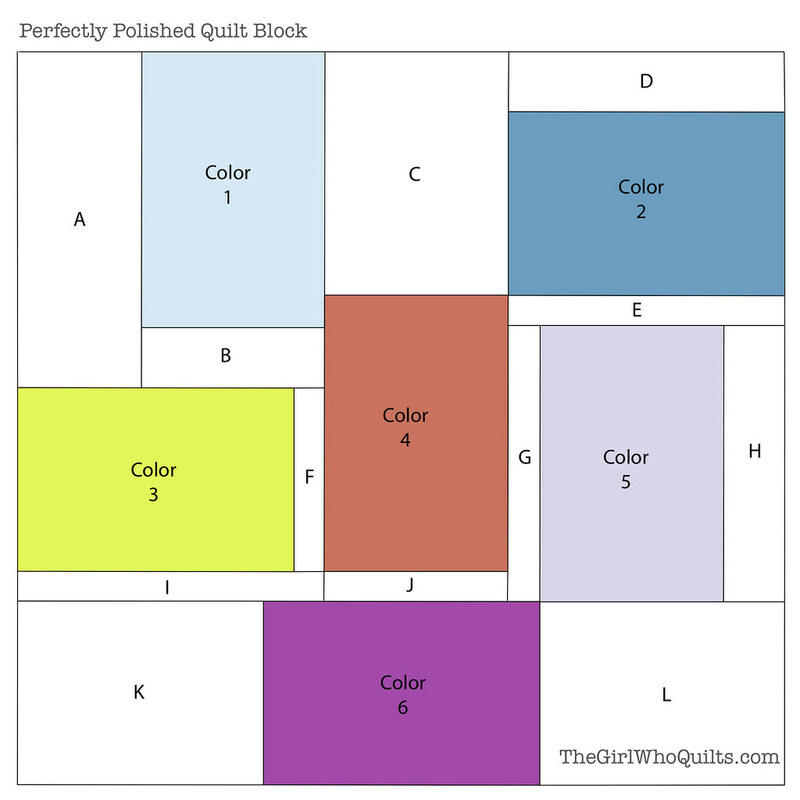 This quilt is made up of 9-patch blocks and plain blocks. 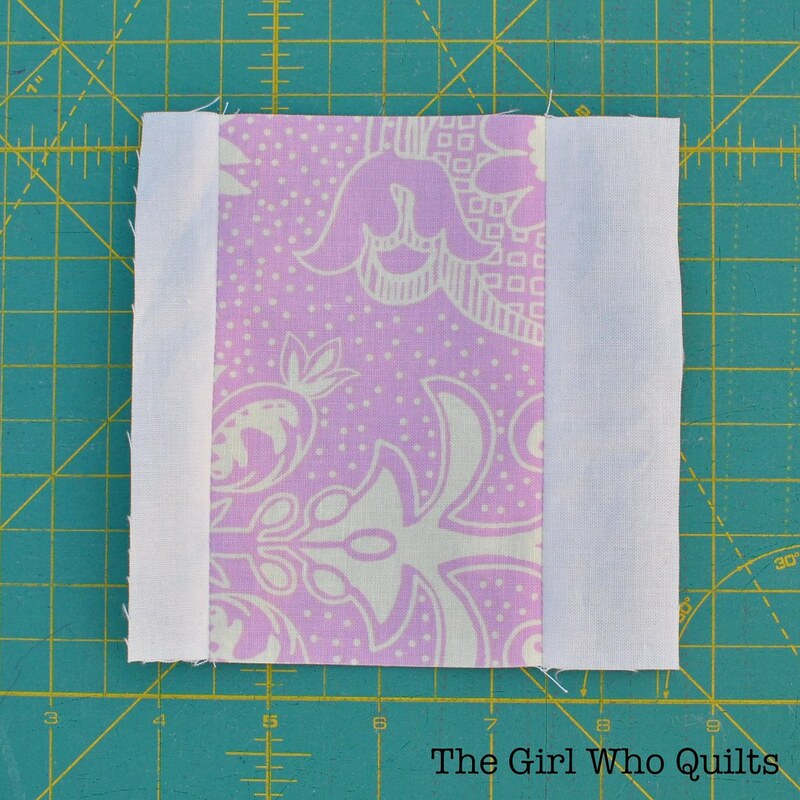 Press seams so they alternate for easy intersection pinning. 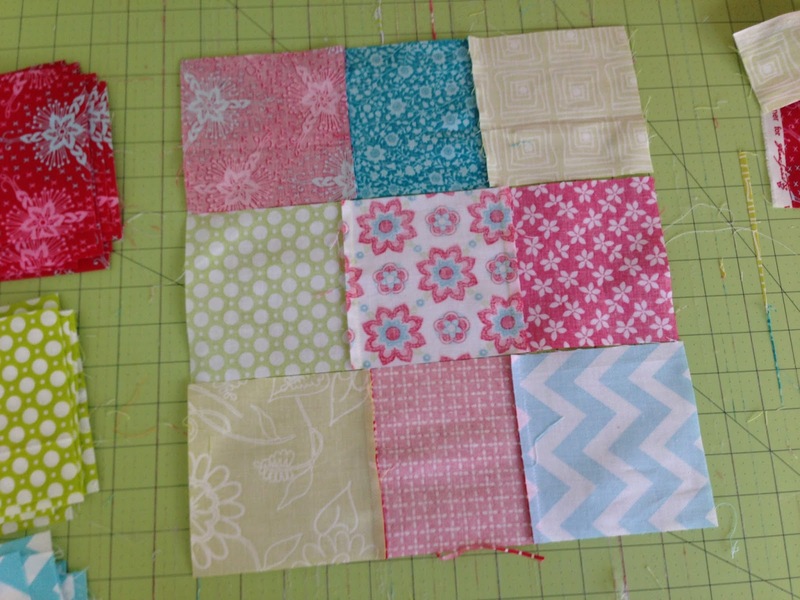 Cut in increments of 4.5"
Lay out your 9-patch blocks with your 12 1/2" squares alternating. 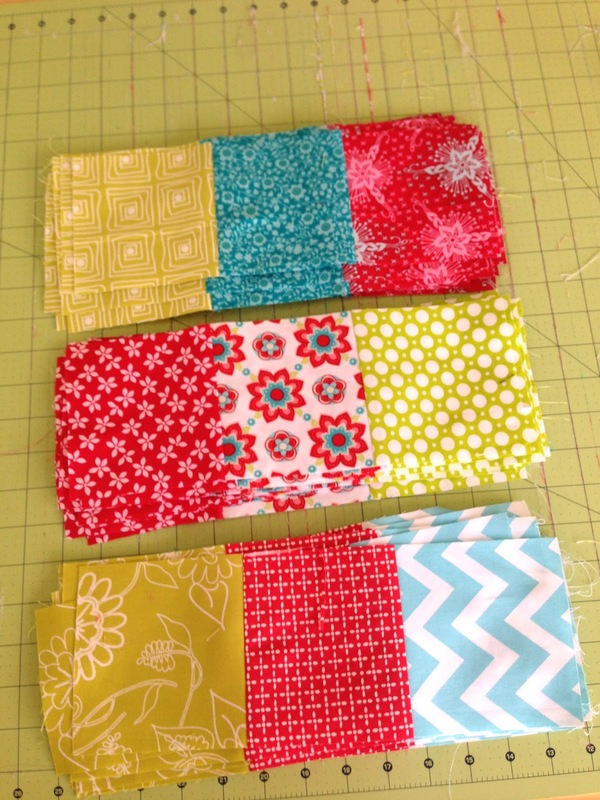 Sew them in rows and join rows together. 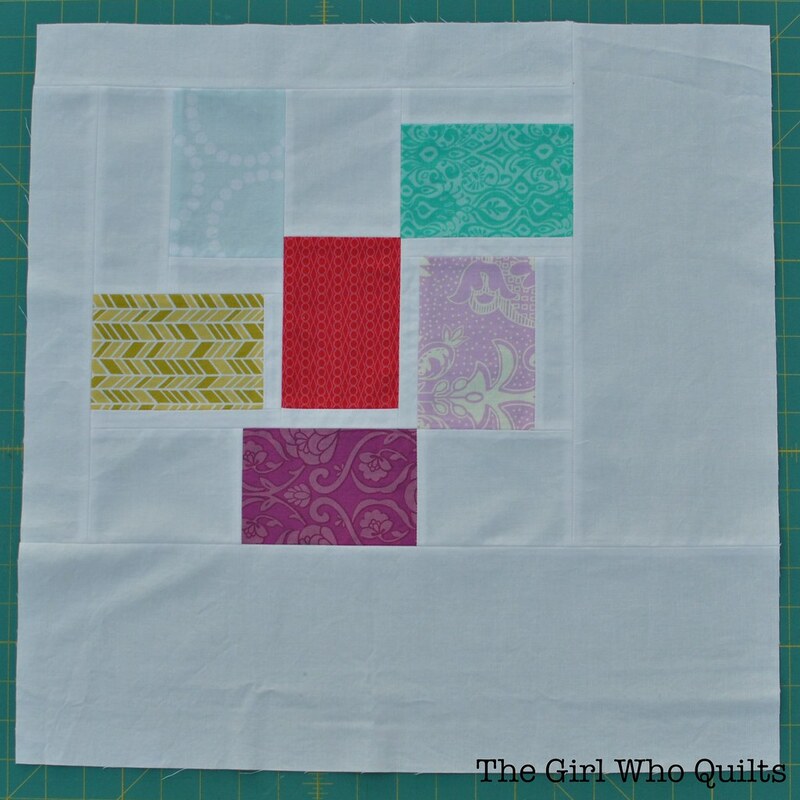 This quilt is 4 squares across and 5 squares down. I put flannel on the back and free-motion quilted it - it's so cuddly!! Hi! 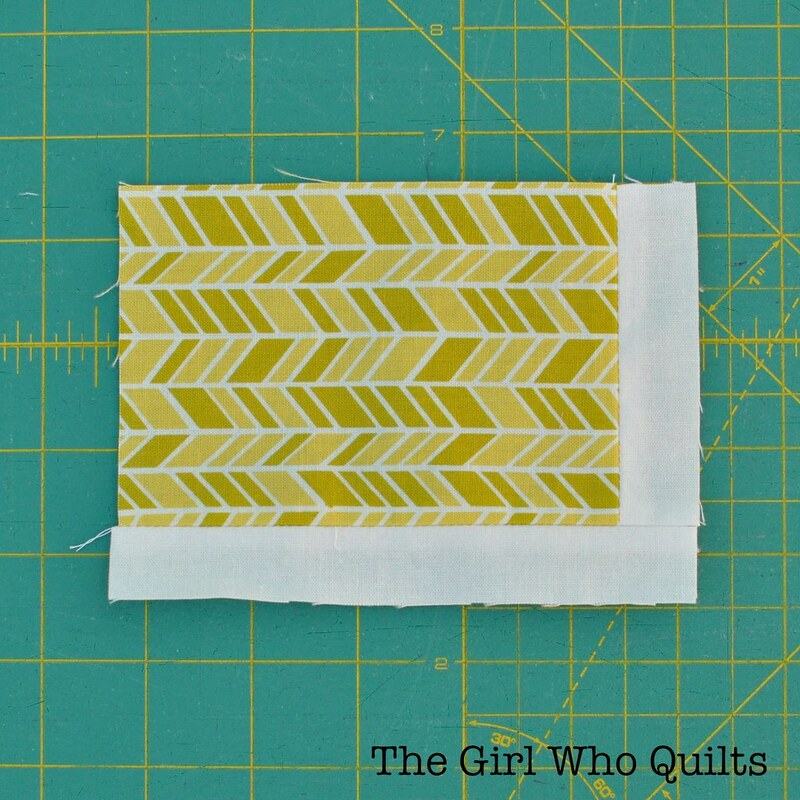 I'm Nikki, and I blog over at The Girl Who Quilts! 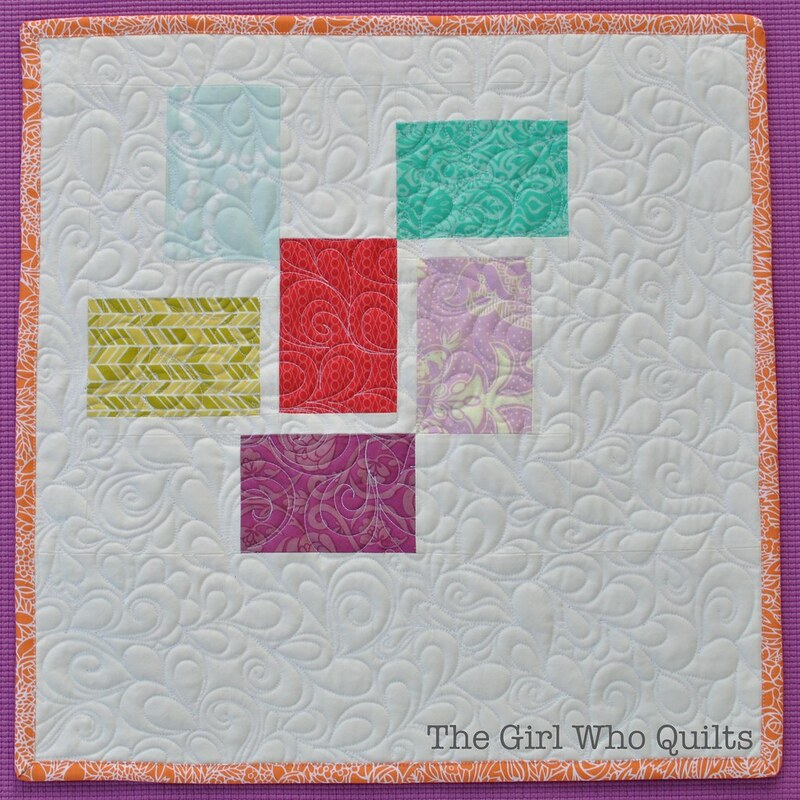 I'm so excited to be a part of tutorial week, it's always fun to share a sliver of my quilting world with others! Today I'm going to explain a bit of how the design process works for me and follow that up with a tutorial for the block that I've designed! 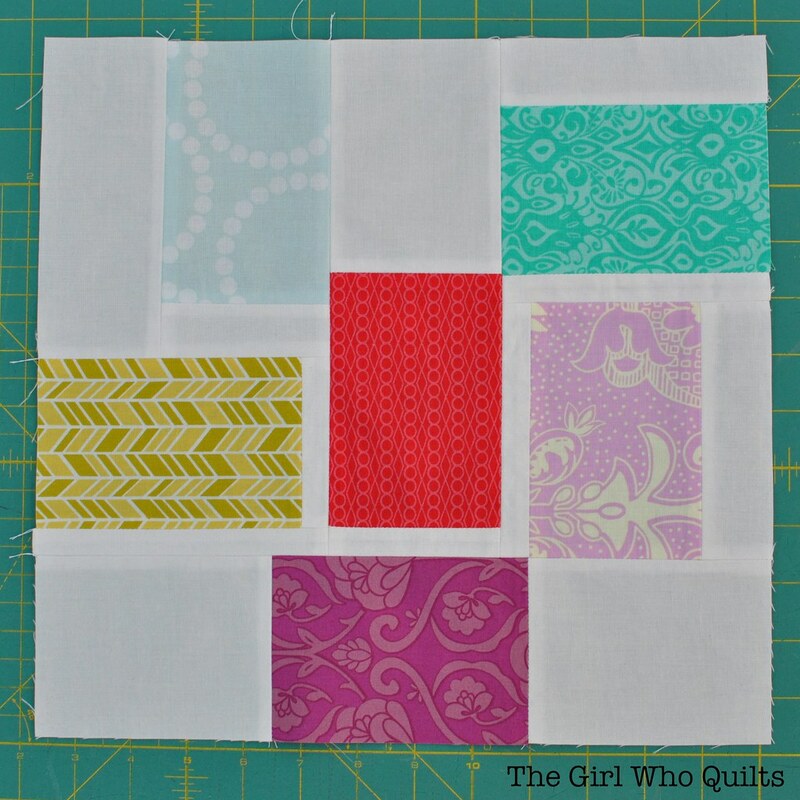 I instantly knew that I had to create a quilt block based on the photo. I started out by drawing on graph paper (technically this is engineering paper, for fellow nerds and nerd spouses out there!). I like to start with graph paper because it's easier and faster for me than using the computer. I also pulled out my own bottle of Essie nail polish and measured it (1" wide by 1.5" tall) so that I could keep those proportions in my design. My first drawing was quite basic. Based on the actual bottle size, I had decided on a finished size of 3"x4.5" for the colored blocks. I liked my first drawing (top drawing above), but I wanted to include the narrow spacing that the glass bottles naturally create between the blocks of color. My second drawing incorporated the spacing. 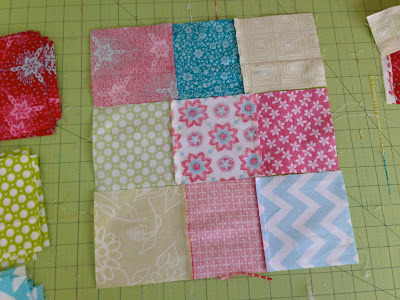 This is also the point when I started to think about the easiest way to piece the block and draw in my piecing lines. If I wasn't quite satisfied with my design I would have continued to tweak my drawings and redraw them as needed until I was happy with the design. In this instance I didn't stray much from my inspiration. Sometimes the inspiration is barely recognizable in the final design and other times it's a near replica. Don't be afraid to play with different ideas! I had a few math errors in my second drawing, so I made a third drawing but didn't include a photo here. I never start drafting on the computer until AFTER I work out all of the math on paper. For me, it's easier to calculate everything on paper. 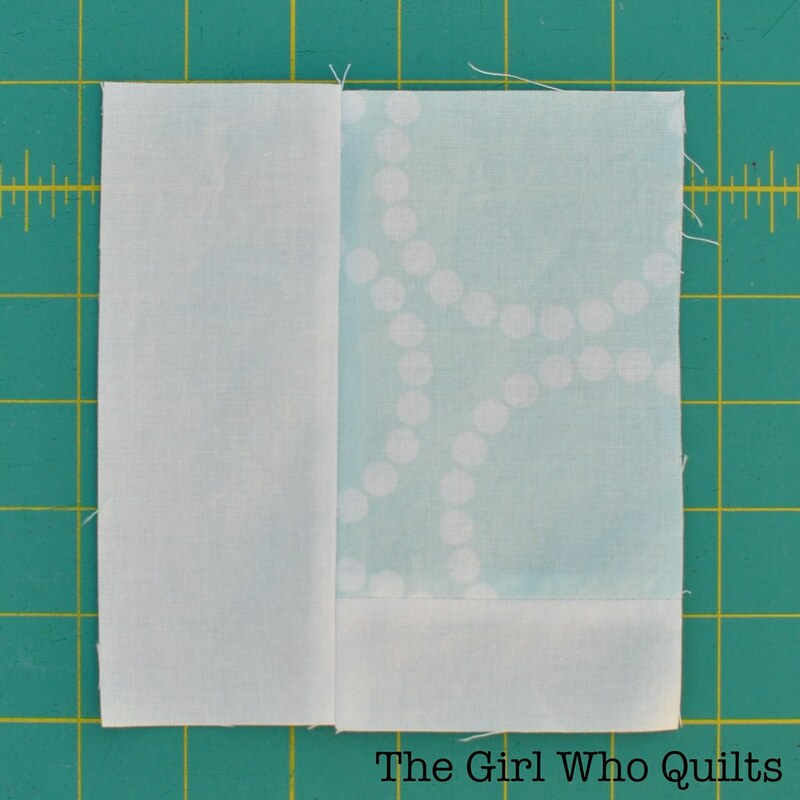 And don't forget to include seam allowances (I don't draw them in, but keep them in mind when writing out cutting directions!). 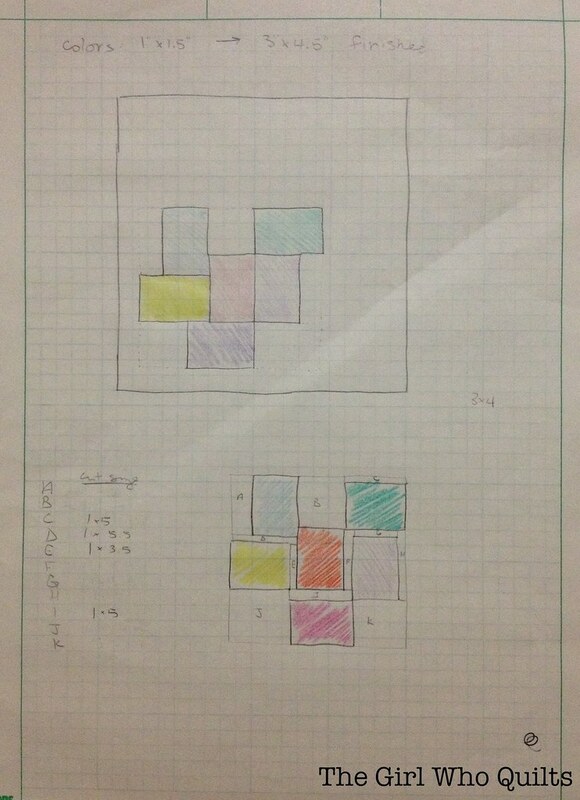 Once I had my block design worked out on paper I moved over to the computer. I use Adobe Illustrator for my graphics (I wish I could provide a tut on that, but alas, I am still a young Illustrator grasshopper!). I'm calling this block "Perfectly Polished"! 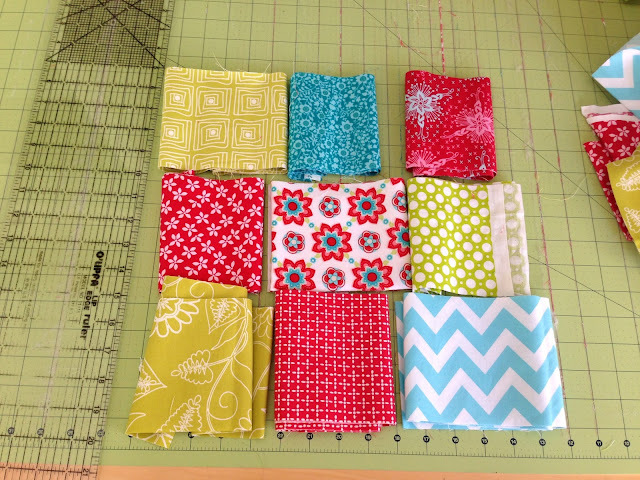 Now, let's sew up the block! 6 scraps for the color blocks, at least 4" x 5.5"
6 color blocks: 3.5" x 5"
Refer back to the illustration above whenever needed during the piecing. 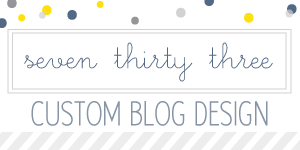 For this block I find it especially helpful to lay out my design on a design wall or a nearby table. 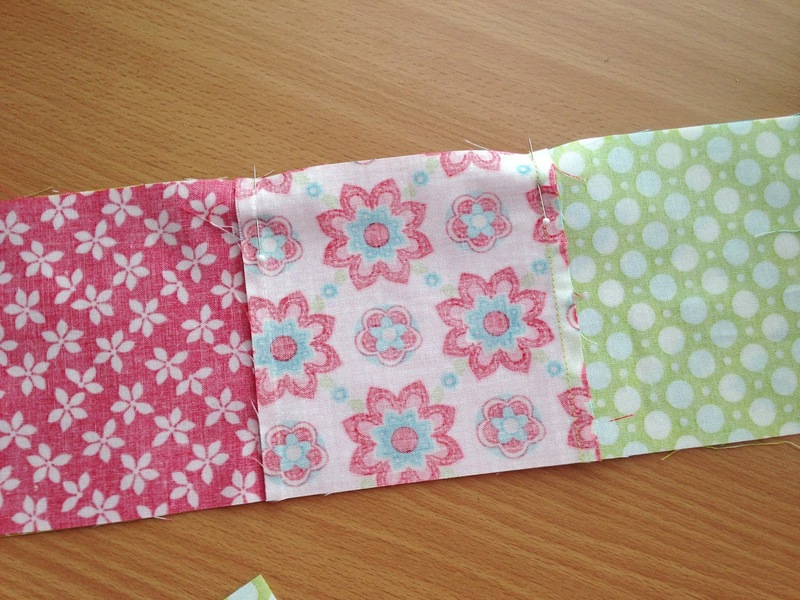 As I sew and press my seams I place the sections back in the appropriate places within the design. Press all seams as you go. 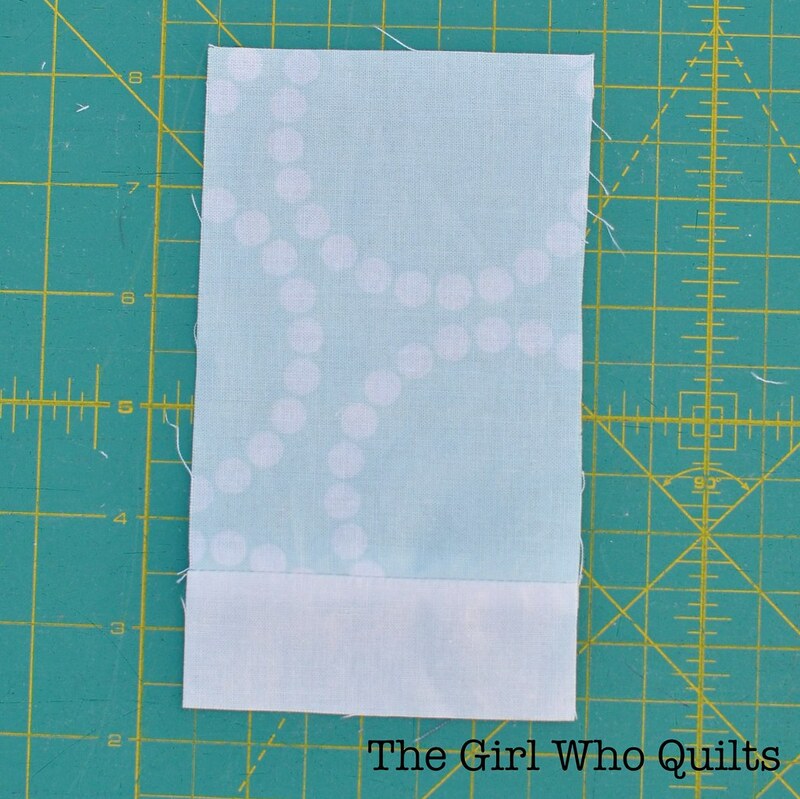 I prefer to press open, especially when using a light colored background fabric such as in this project. 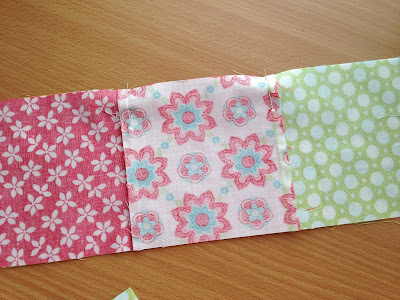 Start by sewing piece B to the bottom of color 1. 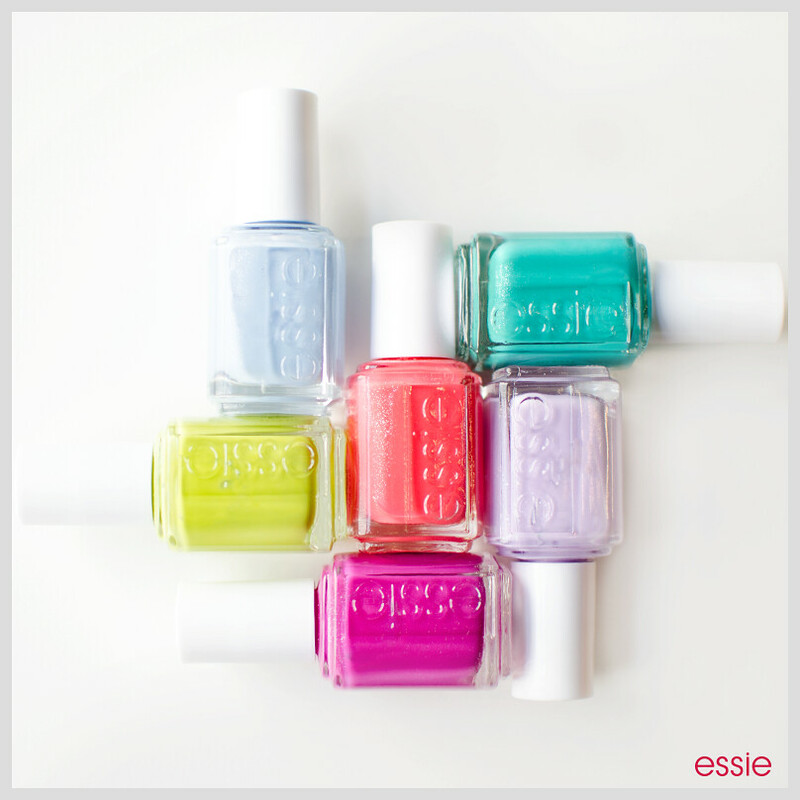 Sew piece C to the top of color 4; sew piece J to the bottom of color 4. 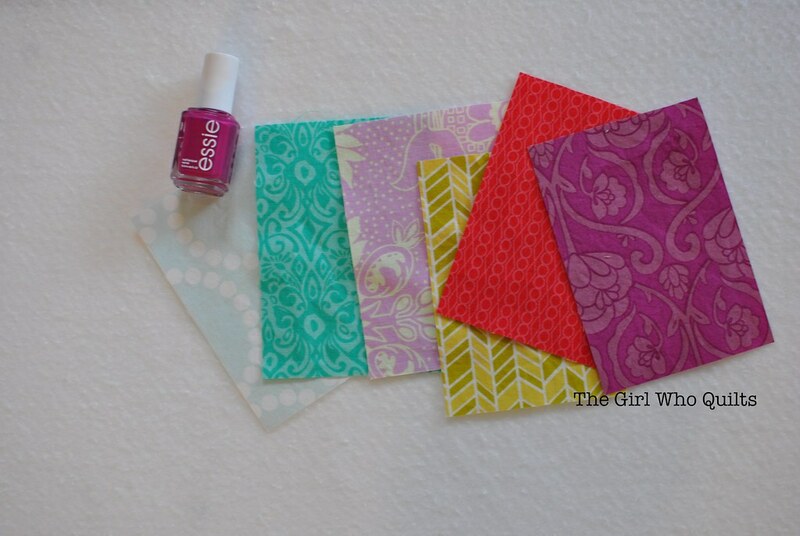 Sew piece D to the top of color 2; sew piece E to the bottom of color 2. Sew piece F to the right side of color 3. 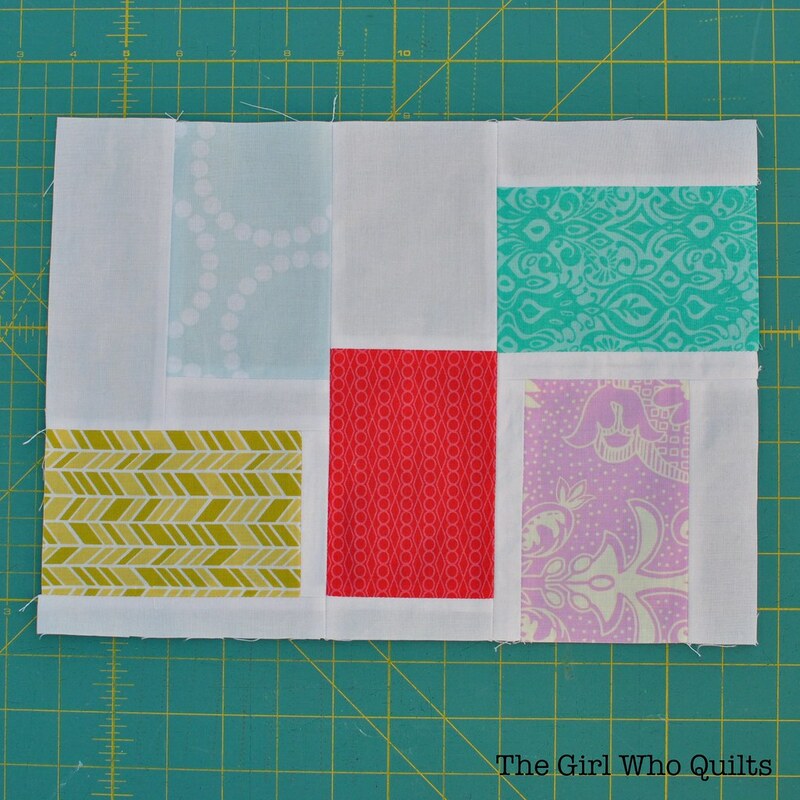 Sew piece G to the left side of color 5; sew piece H to the right side of color 5. Sew piece K to the left side of color 6; sew piece L to the right side of color 6. Now sew piece A to the left side of the color 1 section. Sew piece I to the bottom of the color 3 section. Now it's time to start piecing the colors together! 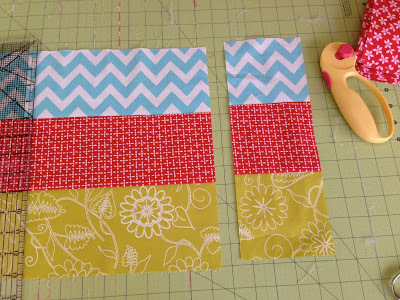 Begin by sewing the color 1 section to the top of the color 3 section. 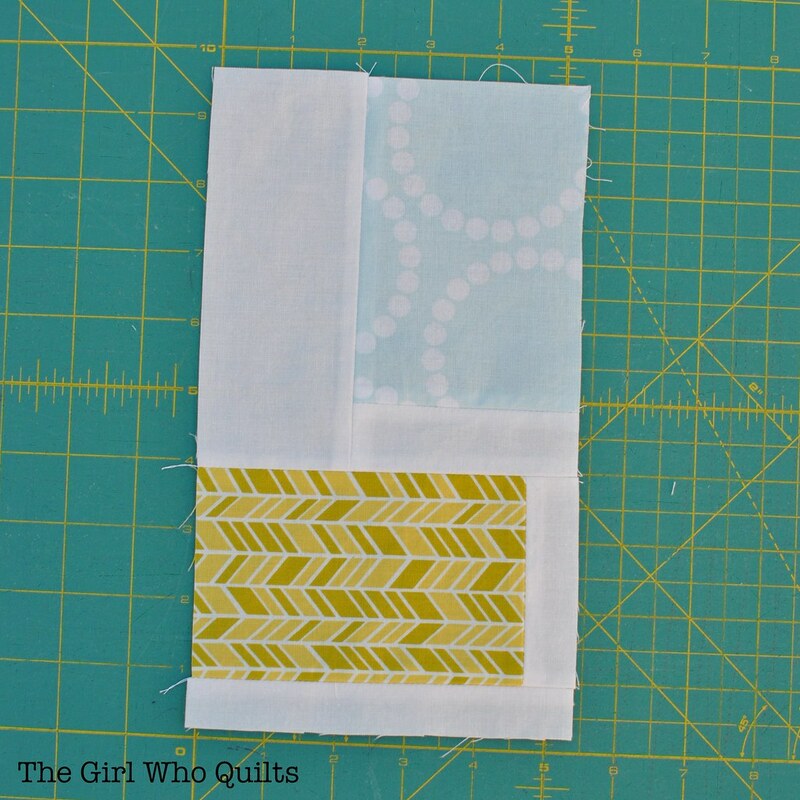 Sew the color 2 section to the top of the color 5 section. 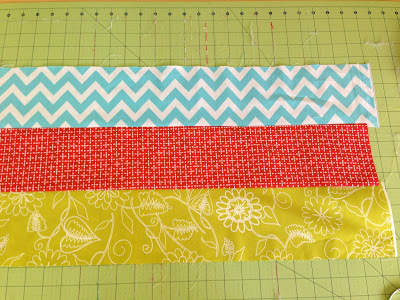 Sew the color 4 section to the left side of the color 2+color 5 section. 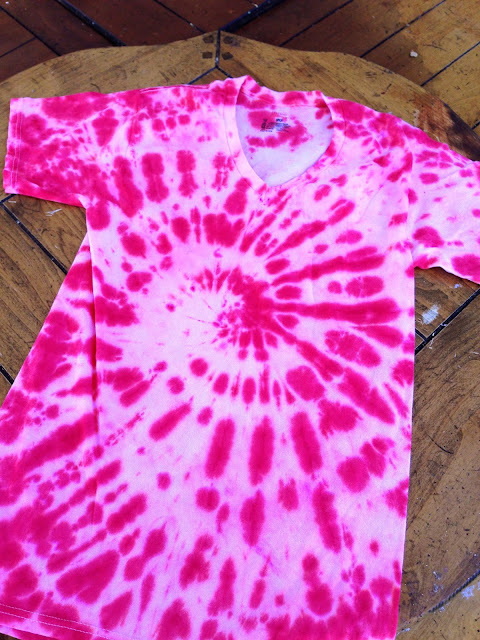 Now piece the color4+color 2+color 5 section to the right side of the color 1+color3 section. Finally, piece the color 6 section to the bottom of the block! Your block should now measure 12.5" long and 13" across. To create the 19.5" mini quilt, continue below. 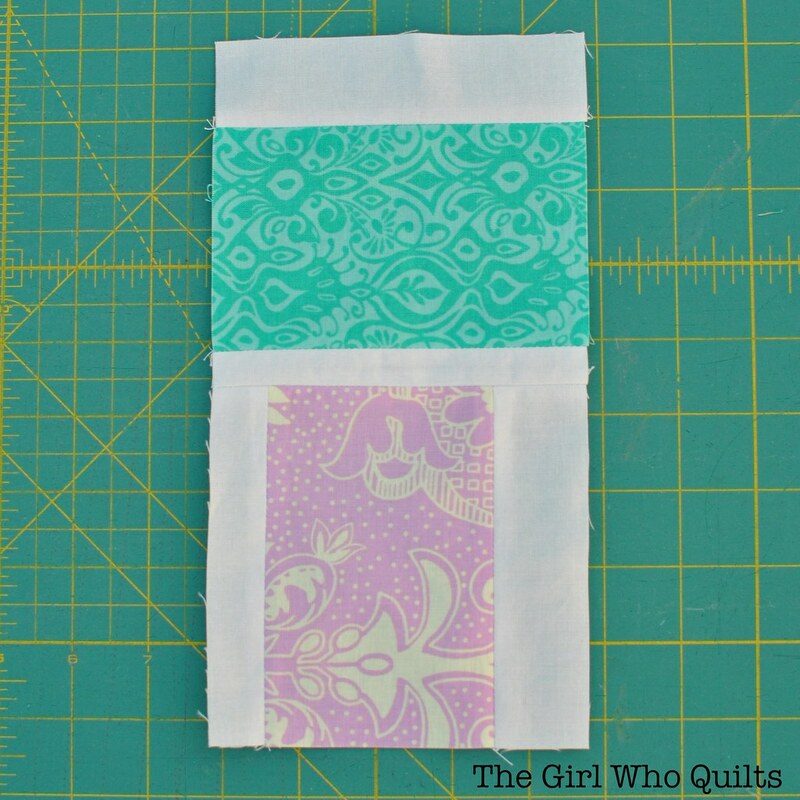 If you'd rather square up the block for another use, simply sew a 1"x13" background strip to either the top or bottom edge of the block. 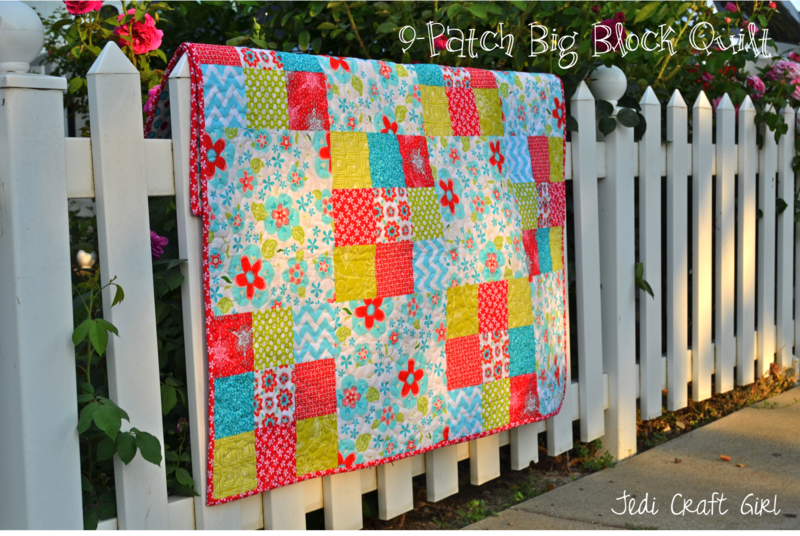 This will give you a 13" square block which will finish as a 12.5" square block. 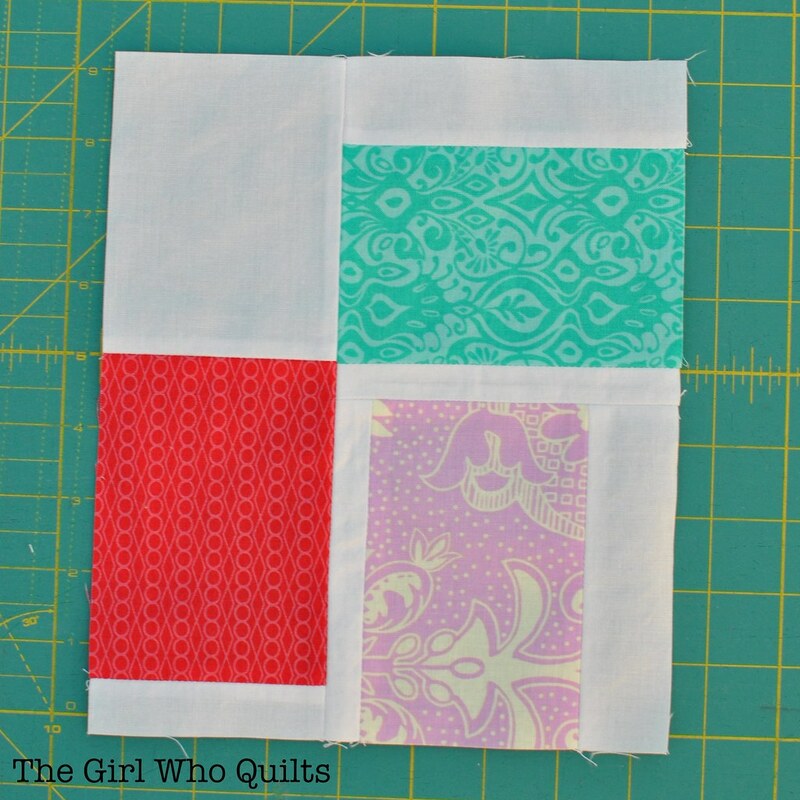 To create the mini quilt, do not add the 1" strip to square up the block. 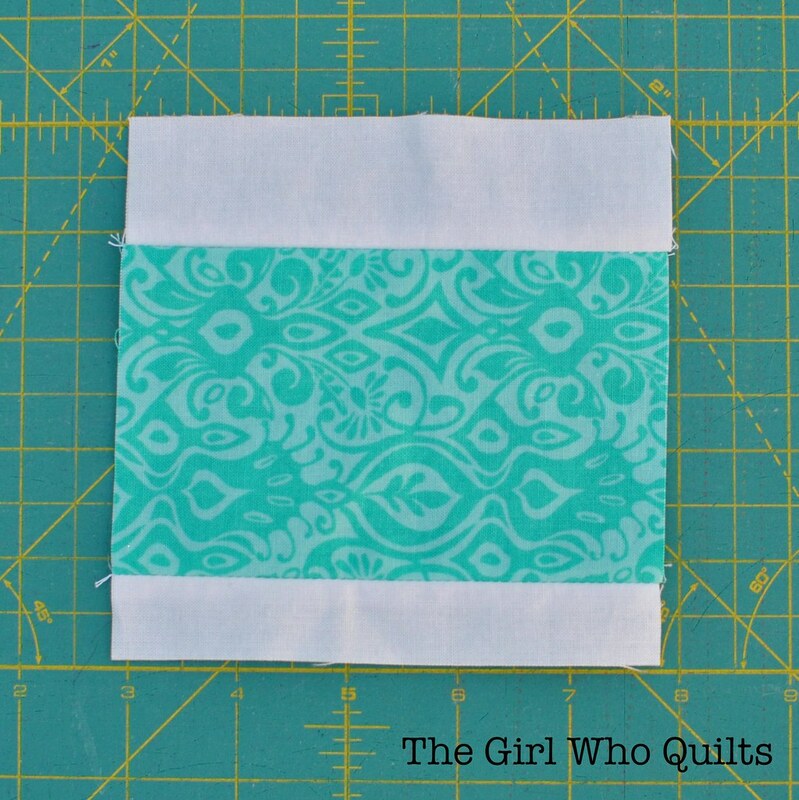 Sew the 2" x 12.5" strip to the left side of the block. 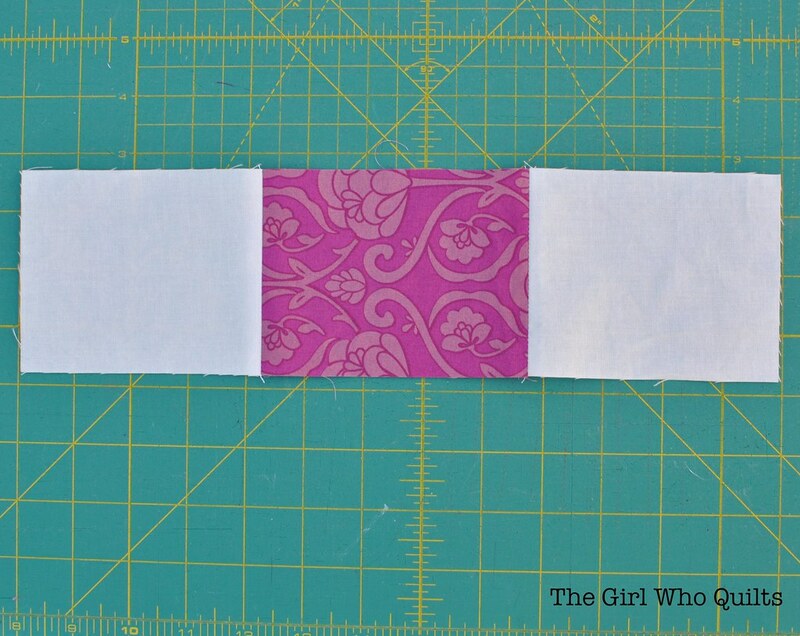 Sew the 2"x14.5" strip to the top of the block. 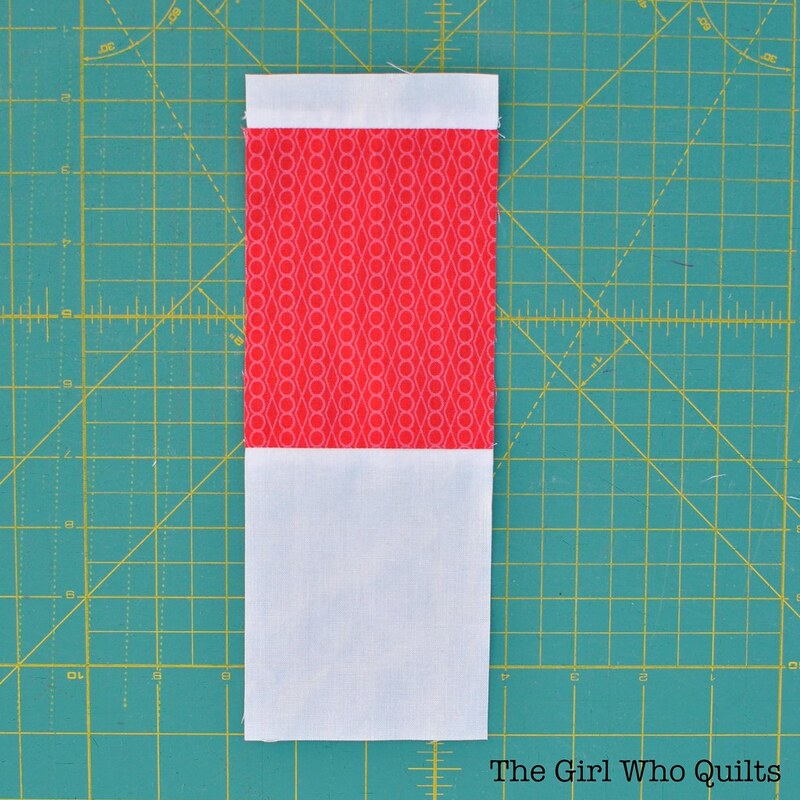 Sew the 5.5"x14" strip to the right side of the block. 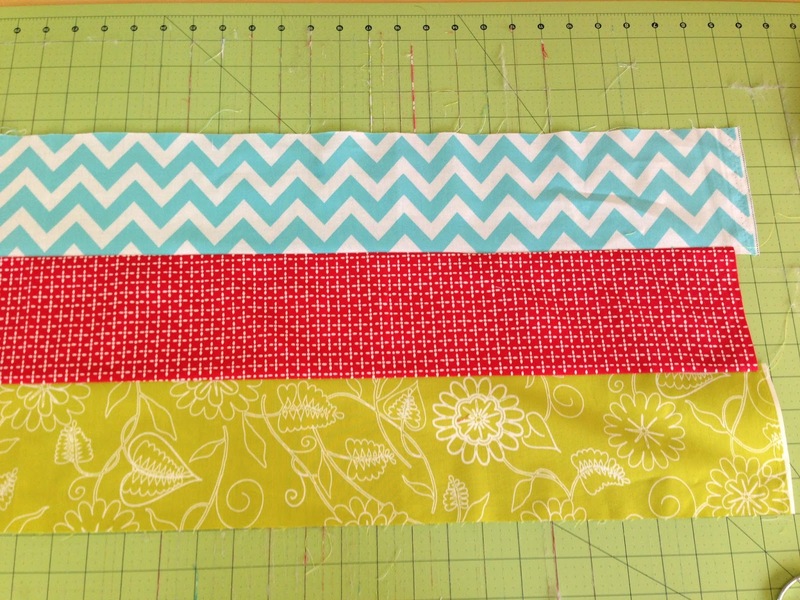 Sew the 6" x 19.5" strip to the bottom of the block. Thanks so much to Amanda for having me over for tutorial week! 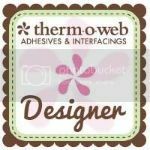 I would love to see any projects that you create from this tutorial. You can always contact me through my blog or post in my Flickr Group!